These orange Moscato cupcakes are like a mimosa in a cupcake! 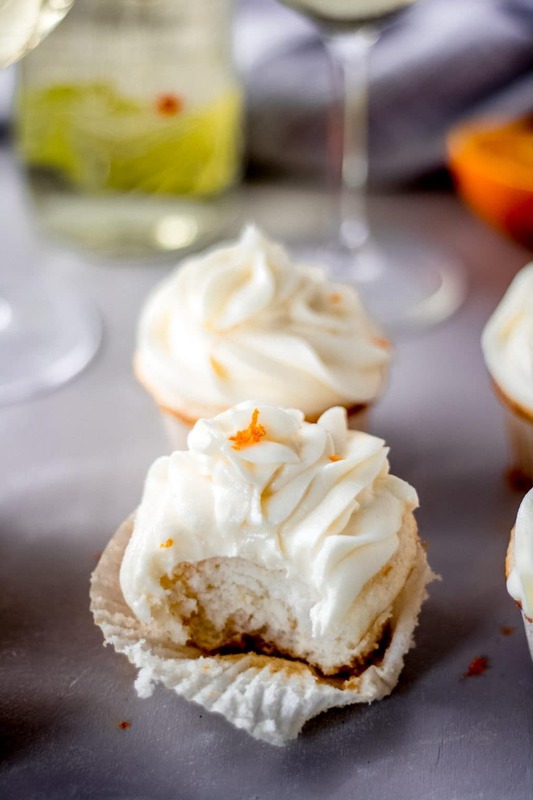 With a fresh orange flavoring and that zing from Moscato, these orange Moscato cupcakes are perfect for your next brunch! 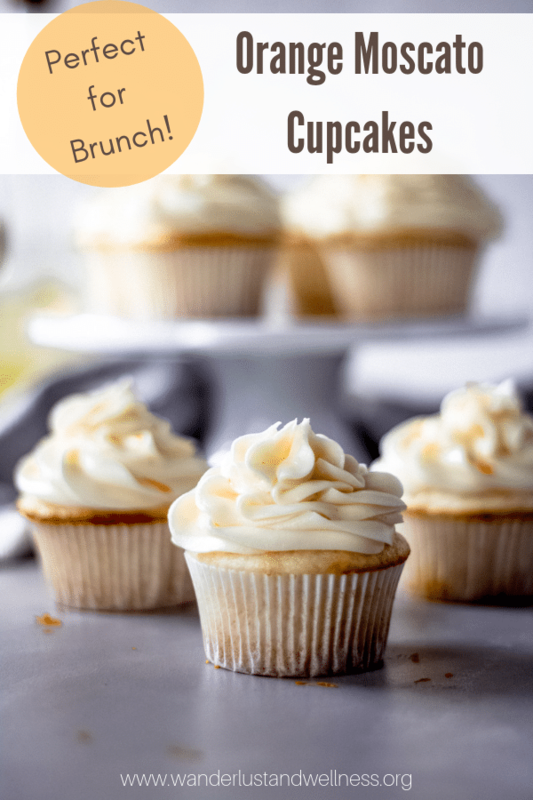 Calling all brunch squad ladies, these orange Moscato cupcakes are a must for your next brunch menu. They are crazy simple to make and taste just like a mimosa! This recipe features another Missouri wine, specifically the Moscato wine from St. James Winery. 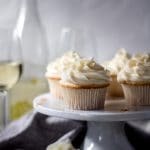 I’m sure there are homemade recipes out there, but I know we’re all strapped for time, which is why I’m keeping this orange Moscato cupcake recipe SUPER simple for you. You need three simple ingredients for the cupcake part of the recipe. 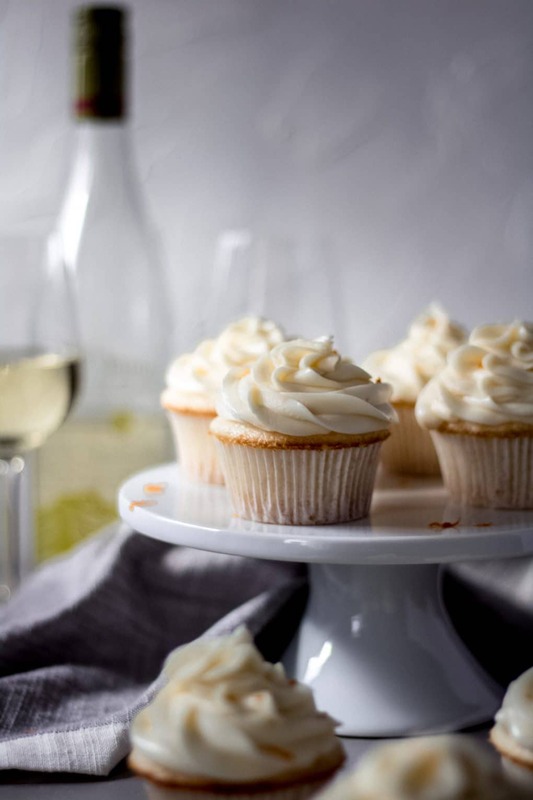 These orange Moscato cupcakes are like mimosa in a cupcake! 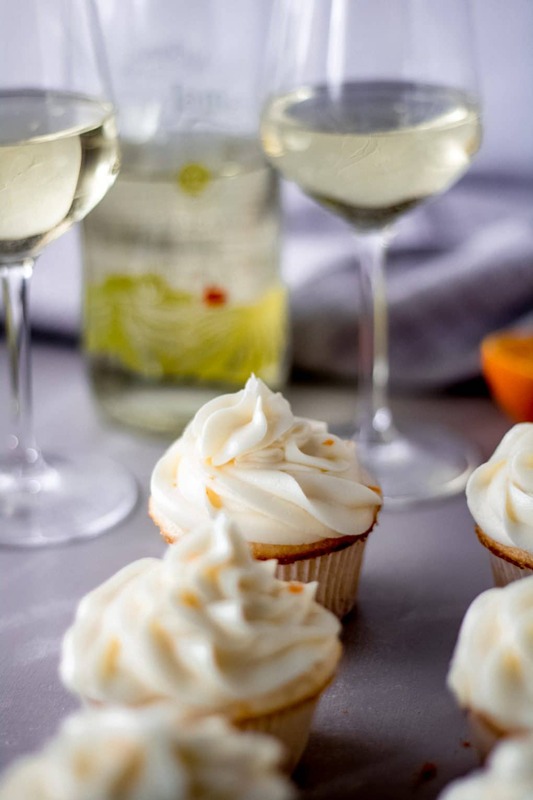 Perfect for your next brunch, whip up a batch of these orange Moscato cupcakes featuring Missouri wine. Preheat oven according to cake box directions. In a large mixing bowl, combine the white cake mix, Moscato, and orange zest. Stir to combine. Line a cupcake pan with cupcake liners and fill to about 3/4 of the way full. Bake according to cake box directions. When finished baking, remove from oven and transfer to a cooling rack to cool. While the cupcakes are cooling, combine all of the orange Moscato buttercream ingredients; beat on medium until smooth. If the icing is too thick, add more Moscato 1 tsp. at a time. If the icing is too thin, add more powdered sugar 1 Tbsp. at a time. Frost cupcakes using a piping bag and Wilton 2D tip, or simply frost with a butterknife, whichever you prefer. Don’t panic, this recipe does not use the egg or the oil from the box mix directions. Enjoy these other cupcake recipes!